We're looking for international students like you who want to make the most of studying and living in London. Here's some to support you during the next stage of your application and to help plan your time at Middlesex. If you've got questions about coming to study with us then here's how you can get in touch. Talk to your regional team. Ask current students about their experience of studying your subject or life as a student at Middlesex. Find out as much as you can about Middlesex and what it's like to study here so you know what to expect. If you want to remind yourself about your course then check your course page. You can find plenty of detail about the modules you could study, options for placements and what graduates are doing now. Find out what your Course Ambassador thinks about their experience of studying in your faculty and in the UK. You can start an online chat with them or take a look at their blogs and videos about life at Middlesex. All our student Course Ambassadors are blogging about their lives at Middlesex - from joining clubs and societies to getting out and about in London. Your time at uni is about so much more than studying. It's a time to learn about yourself by getting involved in student life on and off campus. Join us on Instagram, Facebook and Twitter for updates on what our students and staff are doing on campus. If you have an unconditional offer - you've met all the necessary entry requirements and you don't need to do anything more. Now find out what else you need to do on your way to Middlesex! How to prepare for your new life as a student at Middlesex in London. It's important to think about how you will pay for your time at university before you come to London. We offer scholarships and awards that can help with the costs of study whatever your background and experience. If you're not from the EU, you'll need to support yourself financially during your course. Costs at university in London can be different to those in your home country so we can also help you to plan a budget. Living costs - for food, entertainment, travel and more. Take out travel insurance and contents insurance before you arrive. It's best to take out insurance specifically aimed at students. You can decide to take out private medical insurance or to use the National Health Service (NHS) which is the UK's state health service. If you are from Europe you will receive free medical care from the NHS. If you are from outside Europe you will receive free medical care as long as your course is longer than six months. You may need to pay a one-off surcharge to access NHS services as part of your visa application. You will need clothes and shoes for all seasons as the climate in the UK varies from 14-30 degrees in summer to 1-5 degrees in winter. Bed linen (if staying in private accommodation – this will be provided in halls). Don't pack food, pans or crockery. There are strict rules about importing food from abroad, and you can buy bulky items like pans and crockery very cheaply once you arrive. 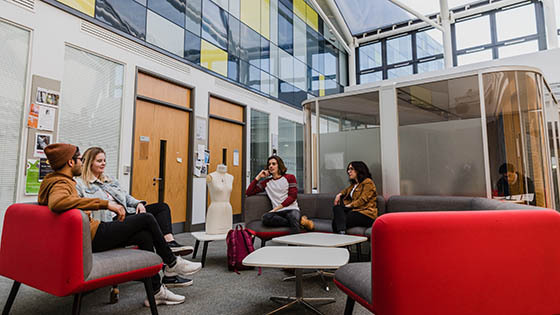 Now you're joining us as a Middlesex student, it is important that you read and understand our regulations and policies so you know what to expect when you study here. 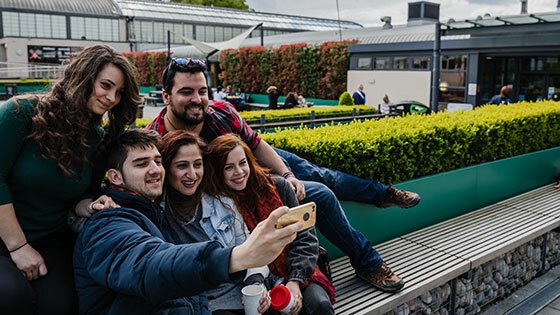 Our welcome programme for international students tells you everything you need to know about living and studying in London. 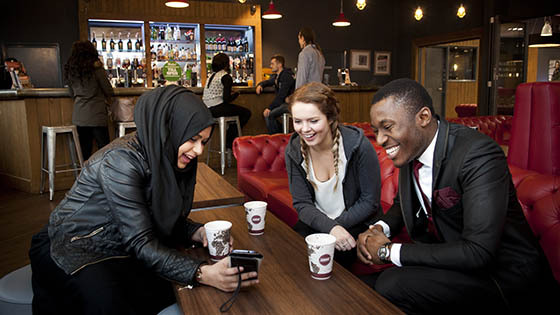 We also arrange social activities so you can meet other students and make new friends. We'll pick you up at Heathrow Airport if you are booked onto our International Orientation Programme and are staying in one of our halls of residence. If you are not attending the orientation programme, check how to get to our campus from major airports and train stations. Ask our international student advice team.